The Center for Internet Security (CIS) recently published a Benchmark specification for securing Kubernetes host machines. In this webinar we will take a closer look at the CIS Kubernetes Benchmark, and discuss how Kubernetes users can apply best practices from the Benchmark in their own deployments. We will cover aspects of secrets management, user authentication and authorization and the use of least privileges. We will end up with a demonstration of our very own kube-bench, an Open Source tool for testing benchmark compliance. 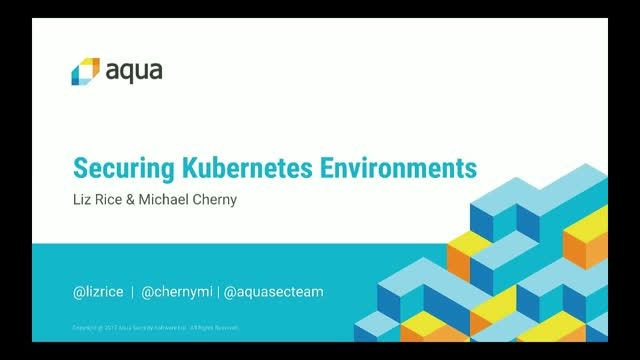 Join Michael Cherny, Head of Security Research and Liz Rice, Technology Evangelist, to learn about practical actions you can take to make your Kubernetes deployment more secure.